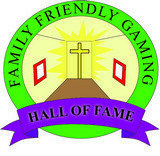 Family Friendly Gaming is very blessed. We are sifting through press releases and determining which games to cover. Our expansion into Iphone/Ipod Touch games has gone a lot smoother than I was expecting. There are a lot of apps to review, and we are getting to them just as quickly as we can. 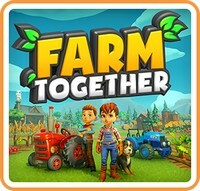 A press release for Checker Kingdoms came across my desk and I knew we had to check this app out. I had played games where chess was given some creative treatment, but not checkers. 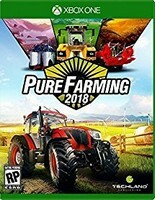 So I was curious to see what Centurion Games came up with. We requested a review code, and then went to town. There are three different boards which are all very interesting. First off there is the standard board. Then there is a World War II board (with tanks), and finally a Space Board with alien looking creatures. The tanks and aliens will shoot one another when they take a piece (editor: or more). Each of the backgrounds are diverse, and look okay on this machine. 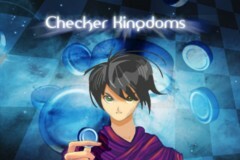 I enjoyed the music and special effect sounds in Checker Kingdoms. I also found that I could play one of my playlists while I was losing to the computer. I did not find any offensive sounds or language while I was playing Checker Kingdoms. Checker Kingdoms can be played against the computer or another human. 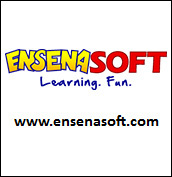 There is local and online modes included in this app. Checkers is a fun game, and Checker Kingdoms does a very good job of expanding the game. I found the various options in this app had me coming back for more. The computer is pretty tough (editor: on all settings) so you will not breeze through this app. There is a good news bad news report when it comes to the controls. First off, Checker Kingdoms has a back out button. Make a mistake, then you can roll back a turn. This is a nice feature that is needed. When you can attack another piece this game forces you to take it. Many times this hurt me because the computer could do a double jump in return. Checker Kingdoms should let players ignore this, and make another move. I want to see sequels to Checker Kingdoms in the future. I really hope this game is ported to the Nintendo DS and/or PSP. I see a lot of potential for this franchise. More boards need to be included, and it would be nice to turn off the attacks in the options. I enjoyed this app, and applaud Centurion Games at their creativity.